Just a few years ago, Virginia’s historic Thoroughbred industry, which had once cradled Secretariat, looked poised for a slow death. Colonial Downs ran its last race in 2013, and a bitter, dramatic series of arguments between the horsemen and track owner Jacobs Entertainment kept it closed. The state already had lost ground to West Virginia and Pennsylvania, where purses were growing fatter with revenue from expanded gaming. The end of Colonial would have seemed to be the final nail in the coffin as horses took one-way van rides to other backstretches. Now, there is a renewed sense of optimism in Virginia. The previously conservative state legislature passed a law allowing historical racing machines, to the surprise of even those remaining in the state’s Thoroughbred industry. 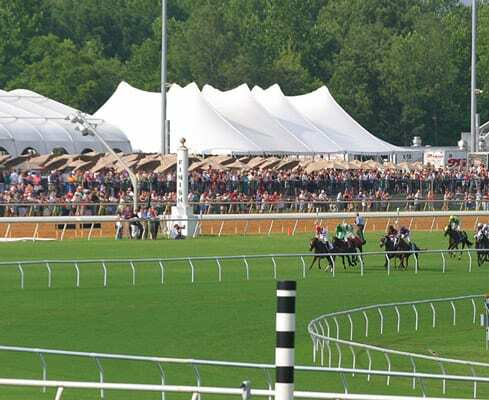 Debbie Easter, executive director of the Virginia Thoroughbred Association, said the VTA was asked to draw up a business plan last fall outlining the ways they would use extra revenue from historical racing. “I would never have bet on that happening three months later,” she admits now. Easter is hopeful the first three to four historical racing facilities may be up and running by January, but the timeline depends on the finalization of rules and regulations guiding the new form of wagering. The Virginia Racing Commission is working on a draft now, and the proposal will receive comments from the governor’s office and the general public before it can become final. Colonial Downs, which was sold this spring to Revolutionary Racing and Peninsula Pacific for over $20 million, has set fire to its turf course—its traditional form of revamping the grass in anticipation of a spring racing season. Official dates remain TBD, but many are hoping for a meet in 2019. Of course, to get the horse population (not to mention racing officials, jockeys, and others) needed for a meet, Easter admits there will need to be something you don’t normally see a lot of in racing: cooperation. I would be very hopeful we’ll be working with Maryland again,” Easter said with regard to scheduling. Carrying out that example, Maryland-breds get 30 percent purse bonuses to breeders and 30 percent to owners in applicable races. Easter points out for a homebred in both programs, an owner/breeder could be looking at an 85 percent purse bonus. Rack up a couple of wins like that, and your horse can pay for his six-month stay in Virginia. 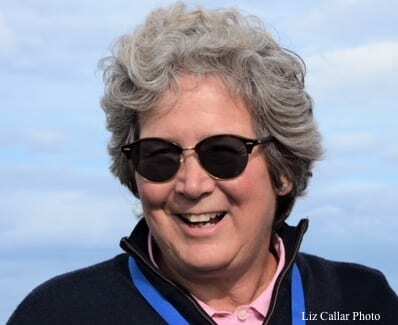 Karen Dennehy Godsey, trainer and co-owner of Eagle Point Farm in Ashland, Va., has seen an incredible bump in business. Where she’d previously have one or two yearlings at Eagle Point, she now has 30. Godsey isn’t sure yet how a Colonial meet may impact her operation. When the track ran in the summer, she would take a string of 15 or 20 to the New Kent track, but many of them would go back to other trainers farther up the East Coast when the meet concluded. She’s not sure what to expect now. The extra business has allowed her to make some significant renovations to Eagle Point, which was established in 1947. Godsey has replaced fencing, added new run-in sheds, resurfaced her training track, and given her staff a raise. 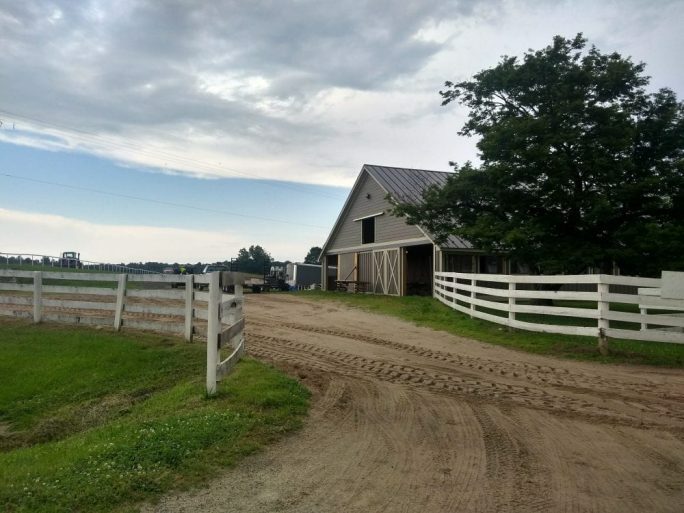 Stephanie Nixon, VHBPA vice president, trainer and owner of Horseshoe Hill Farm in Ashland, said she just completed construction on a new barn to accommodate the influx of horses she’s expecting as a result of the Virginia-Certified program. So far she hasn’t seen a significant change in volume, but is seeing the same clients send horses earlier than they previously had to meet the six-month requirement. “The tide and the mood has changed as far as excitement about horses in the state of Virginia,” she said. “I just got back from a national HBPA convention in Iowa and folks that far out were talking about it. Nixon believes that the return of racing to the state ultimately speaks to a spirit of cooperation. Easter remains doubtful the state breeding program is likely to pick up significantly as a result of the track reopening. There were 115 foals born in Virginia in 2018, and the foal crop decreased roughly 70 percent from 2007 to 2016, according to Jockey Club data. She does think the Virginia-Certified program will add value to participants at the 2-year-old sales. This year’s Fasig-Tipton 2-year-old sale at Timonium was the first public auction where Easter Virginia-Certified appeared in catalogue pages. Easter is working to compile data that determines what impact Virginia-Certified status is having on sale prices. In the meantime, Godsey said the Virginia-Certified option is giving her one of the best problems she’s had in years: she has more interested clientele than space. This entry was posted in NL Article, Ray’s Paddock and tagged debbie easter, Karen Dennehy Godsey, stephanie nixon, Virginia Thoroughbred Association, Virginia-certified by Natalie Voss.